A take on a large articulated streamer fly. It’s a Zonker style tie using muskrat fur strips for the wing, and Woolly Sparkle Dub for the head/shoulder build up. 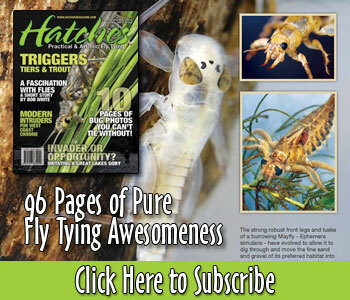 Has proven super effective for most predators – especially for brown trout and sea run brown.